A Designers Dream... is reality here! This incredible three bedroom two bath pool home in the Silver Lake area has so much to offer. 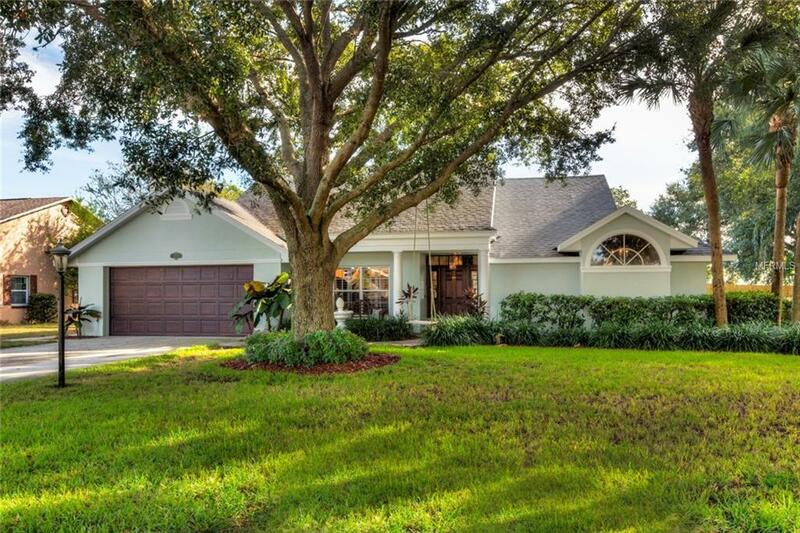 You will immediately love the ambiance of the beautiful shade trees, mature landscaping and cozy front porch. You cant help to be impressed with the Brazilian Cherry Hardwood flooring and the architecture design of this home. The split bedroom plan offers a formal dining and sitting area as well as a family room with a fireplace and separate eating area off the kitchen. Your kitchen is spectacular with plenty of counter space and everything is close for a great working kitchen! You will love the slate flooring and Granite counters as well as the upscale lighting, stainless steel appliances and custom back-splash. All with easy access to the Stunning pool area. Entertain on the oversized back porch featuring tongue and groove ceilings and a fenced yard. The Master Suite features tray ceilings and access to the pool area as well as an en suite bathroom with stunning lighting, travertine and marble, a gorgeous free standing soaking tub and large separate shower space, limestone counter tops, and a spacious walk - in closet. The guest bathroom serves as a convenient pool bath and even offers double sinks... great for the guests! And you will have guests because everyone will want to visit you in this Dreamy Home! If it looks like a Custom Designer lives here... it is because they do... so take this opportunity to make this home yours!